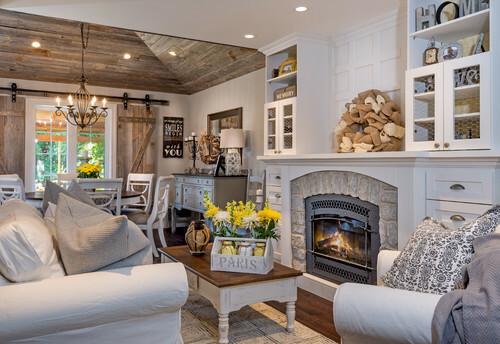 The rustic and comfortable Farmhouse style of decorating is always popular because it is so easy to live with and it looks beautiful. The emphasis is on natural materials, craftsmanship, a sense of harmony and space, and also vintage pieces and antique furniture that looks naturally well-worn and loved. These recently published books provide inspiration for decorating your home in this style, whether you like the traditional Farmhouse style or a more updated version. A Touch of Farmhouse Charm: Easy DIY Projects to Add a Warm and Rustic Feel to Any Room might make your fingers itch to get decorating! The book is written by Liz Fourez and she takes readers on a tour through her restored 1940s rustic farm style house, showing how to make various handmade decorations. For example, a simple greenery wreath, a monogrammed door mat and a gingham check painted accent wall. The aim of the book is to cultivate a connection between family, home and nature and “bring the warmth and beauty of simpler times to your modern life naturally.” I feel more serene already! 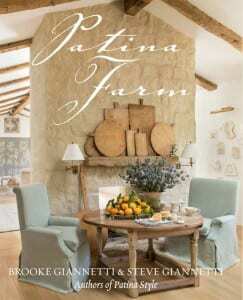 The subtitle of this book published by Country Home is: 250+ Ways to Harmonize Rustic Charm with Contemporary Living. That gives plenty of choice of wonderful decor ideas, organizational tips, and DIY projects. The ideas show how to add the personal touch in ways that are easy and accessible for everyone. 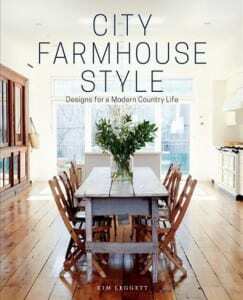 This glossy book by Kim Leggett shows how even urban dwellers can catch a little of that fabulous Farmhouse style. 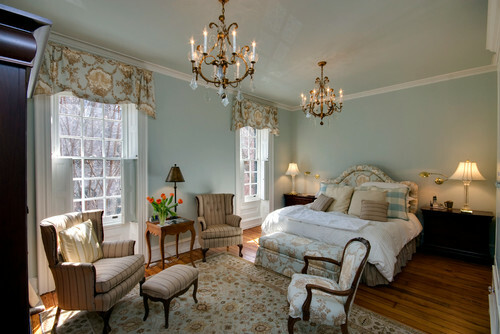 Leggett is a designer for celebrity clients including Meg Ryan, Ralph Lauren and Sheryl Crow. She seems to have plenty of experience showing readers how to transform their city homes with unfussy Farmhouse style that keeps the spirit of the look while adapting it to an urban setting. 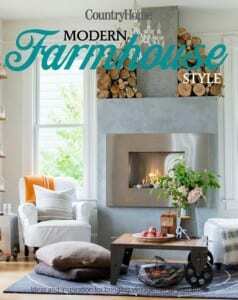 The book includes Farmhouse paints, wallpapers and textiles as well as general decorating and styling tips. 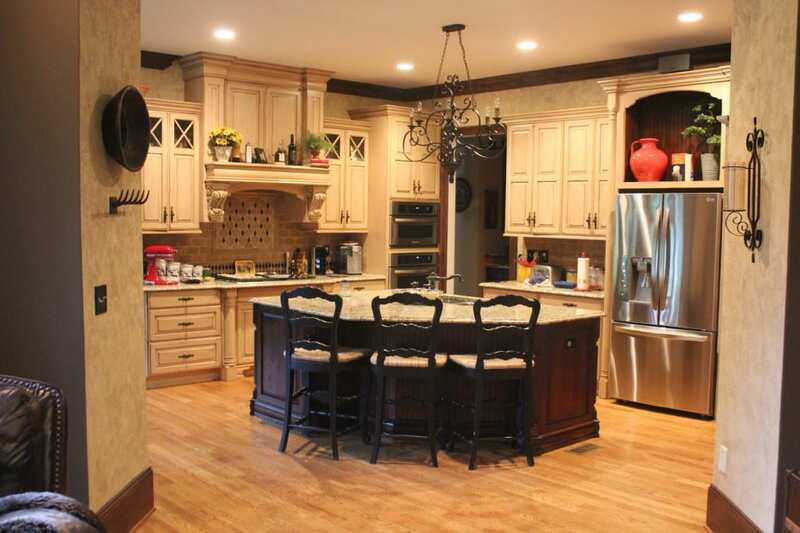 I love Leggett’s statement that: “Designing your home is a lot like falling in love.” That is so true! 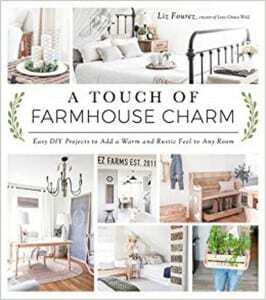 I hope you enjoy the inspiration from these books and if you want to shop for some Farmhouse style, here are some Farmhouse pieces on our EuroLuxHome.com website! This entry was posted in Bookshelf and tagged books, decorating books, design books, design inspiration, Farmhouse Style, home decor, interior decorating resources, interior design books, rustic decor on March 28, 2018 by admin. 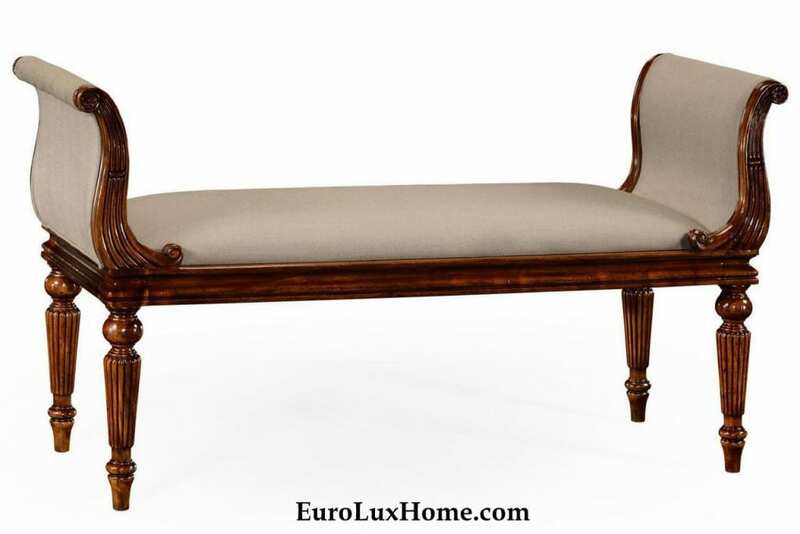 I recently wrote a blog about French Country Farmhouse furniture and decor because it is one of the most popular styles in our EuroLuxHome.com online furniture and home accessories store. 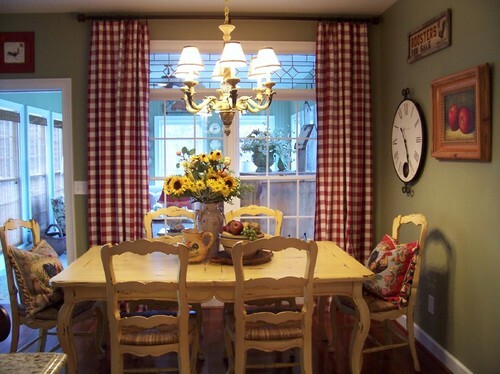 French Country look is a timeless style that looks charming and is comfortable and easy to live with. 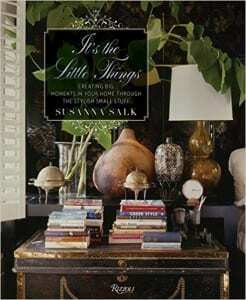 These new books will give you more ideas for decorating your home in this style! 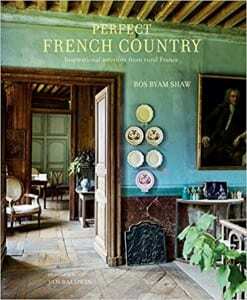 Showing how to live the good life wherever you are, author Ros Byam Shaw visits rural French country homes to share their inspiration. A peek inside these private residencies reveals the details that create the comfort and joie de vivre of Frech life, whether we’re looking at traditional architecture like stone fireplaces or simple decor details like a row of gourds and earthenware jugs decorating the top of an old wooden kitchen buffet. Sharon Santoni lives in a countryside home in Normandy, France, and her new book focuses on ways to entertain in true French style. Of course, the French make entertaining look so easy, and this book tries to help the rest of us capture that same spirit. The book combines personal stories of her life in France with photos of table arrangements and room or outdoor settings. There are some recipes too! The book is arranged by season with sections including A Table in the Forest, Picnic by the River, Breakfast on the Terrace, Fireside Cooking and many more. Santoni actually grew up in England but she seems to have gone native over her years in France! 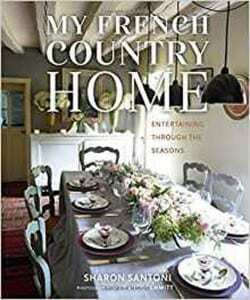 I mentioned her book My Stylish French Girlfriends in a previous blog post on French Country Style and Decor. My third pick is published by the team at Country Living magazine. It is not specifically about French Country style, but the approach is definitely in keeping with the French Country idea of mixing old and new and repurposing simple everyday items. 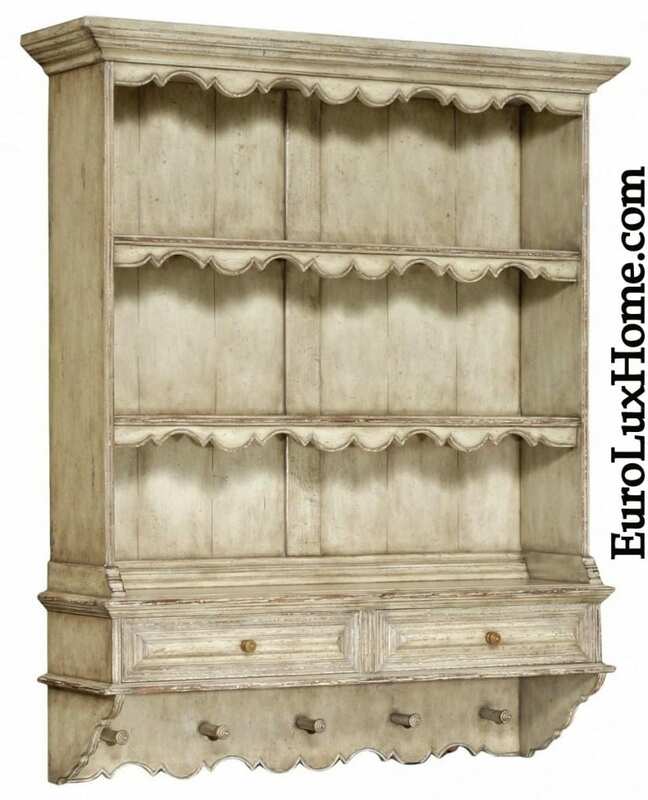 One of the key aspects of French Country style is that furniture and accessories look like they have been collected over the years, and every piece has a story. 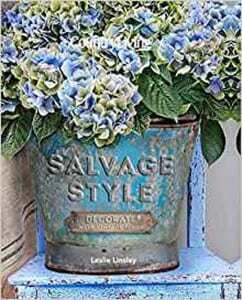 The book is written by Leslie Linsley and she gives lots of inspiring ideas about how to decorate with salvaged and vintage items such as old windows, mailroom filing cabinets, wicker furniture, buckets and bathtubs to create very personal rooms filled with character. 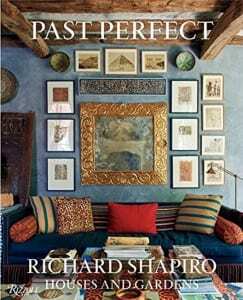 This entry was posted in Bookshelf and tagged books, decorating books, design books, design inspiration, Farmhouse Style, French Antiques, French Country, home decor, interior decorating resources, interior design books on September 30, 2017 by admin. 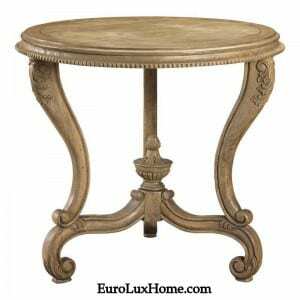 The timeless French Country Farmhouse style of furniture is rich in nostalgia, and it is one of the most popular styles in our EuroLuxHome.com online store. 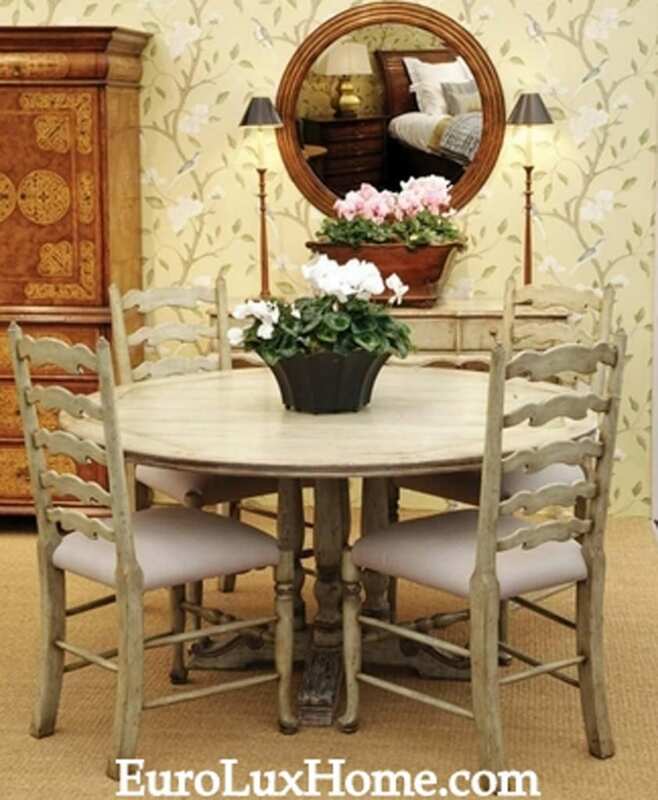 Whether our customers choose genuine antique French Country Farmhouse furniture imported from France or newly crafted pieces inspired by the style, they love the refined but comfortable look! As the name suggests, there is a rustic element to French Country Farmhouse style that celebrates the natural beauty of rural France. This design style places a great emphasis on traditional craftsmanship, natural materials and a sense of harmony and balance. Imagine walking into a charming old French farmhouse deep in the hills of a wine region or one surrounded by fields of golden corn. 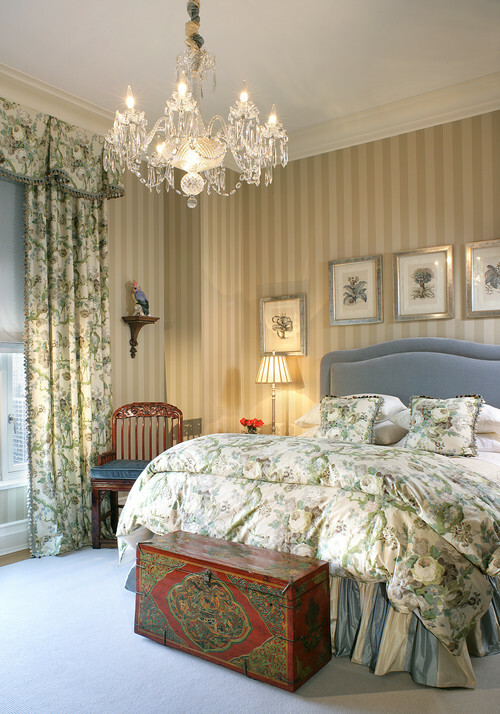 The kind of decor and furnishings you might see are exactly the kind we expect of this design style. Photo above by Kim Nichols. Photo below by Mustard Seed Interiors. 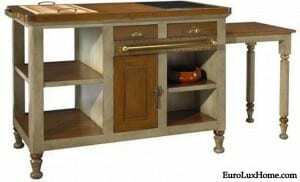 You might see a large wooden table in the kitchen, possibly crafted in pine or another light or medium wood. Simple furniture features graceful lines and a slightly weathered look, or you will see cabinets with a distressed paint finish. Things are not too matchy matchy, no matched sets of furniture, yet everything works together. The furniture and accessories have the look of being collected over the years, combining family heirlooms with newer pieces. Everything is effortless, nothing is trying too hard to impress. Nothing is shiny or too crisp and perfect. These homes look lived in and you know that the people living there are very happy and content indeed! 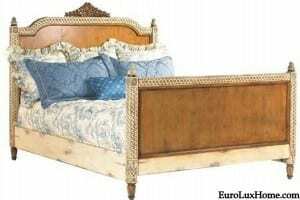 We have a lot of new, vintage and antique French Country Farmhouse pieces in our online EuroLuxHome.com furniture and home accents store and shipping is always free. 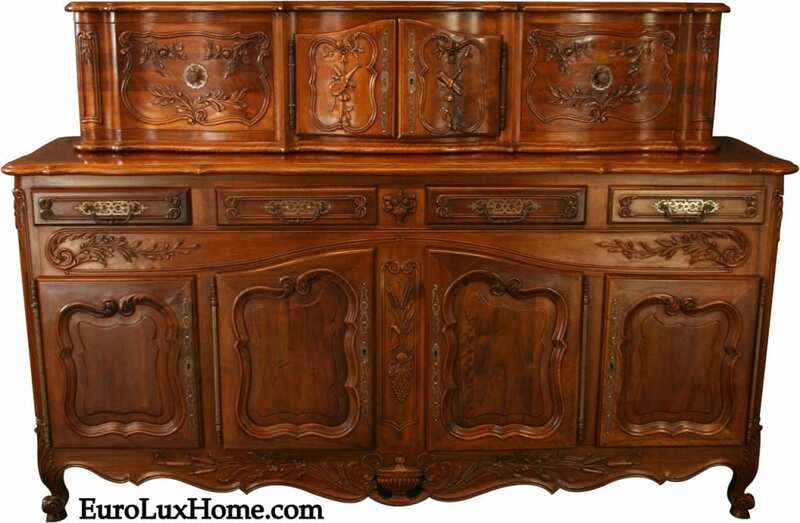 For example, this fine walnut vintage French Country sideboard hits all the style points! 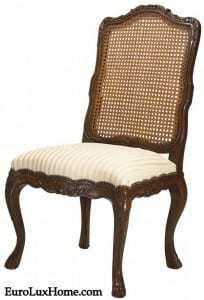 Chairs with a ladder back are also ideal for this look, and chairs and benches often feature woven rush or rattan seats. 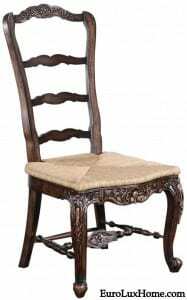 These new French Country dining chairs in our store have intricate carvings in the walnut wood and hand-woven rattan seats. Layered textures with rustic and distressed finishes add a great deal to the effect, and layered fabrics such as gingham and florals in varying scales also add to the effortless look. Toile de Jouy is a classic for French Country Farmhouse linens and other soft furnishings. 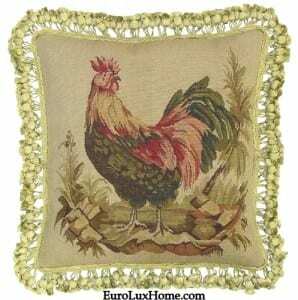 Chickens and roosters and other farmyard animals are a popular motif, as seen on this hand-woven wool Aubusson throw pillow! 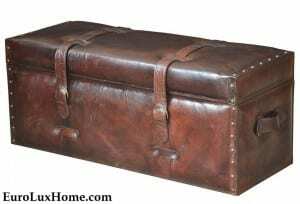 In addition to French Country Farmhouse antique furniture and newly crafted pieces, we are pleased to stock all kinds of vintage and new home accessories that look perfect with this style of decor. Earlier this year I mentioned that Farmhouse style is a leading decor trend right now and I am not surprised! It is more than just a fleeting fashion. There is a timeless, serene and nurturing quality to this interior design look that is comforting in our rapidly changing and stressful times! 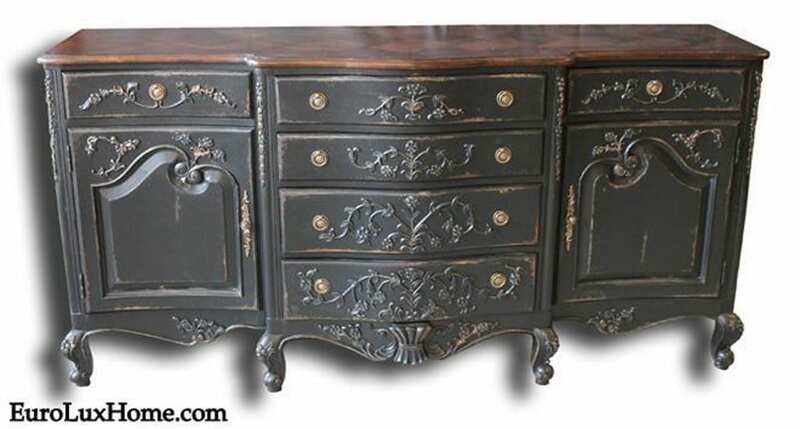 This entry was posted in Home Design Ideas, Learn History & Styles and tagged antique french buffet, antique French furniture, decorating trends, distressed furniture, Farmhouse Style, French Country, French Country cabinet, rustic decor on September 8, 2017 by admin. Although few of us actually live in a farmhouse, the Farmhouse style of decor continues to appeal to urbanites and suburbanites alike. It carries a sense of nostalgia for an old-fashioned, simpler way of life before the hustle and bustle of today’s modern world. 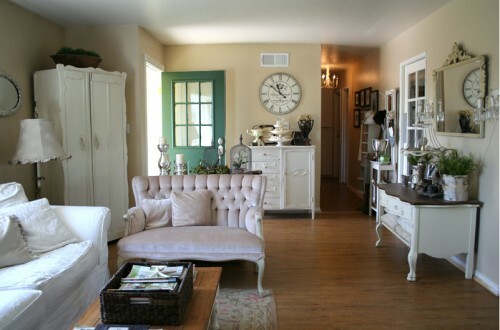 I enjoyed this Houzz.com article on 9 Ways to Create Comforting Farmhouse Style Anywhere. You don’t want everything to match too perfectly for a traditional Farmhouse style! 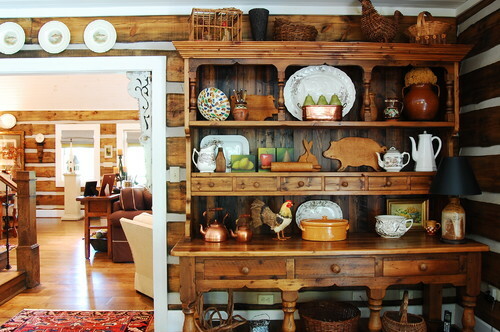 It’s a decor that looks lived in, with one-off pieces that appear aged and loved. 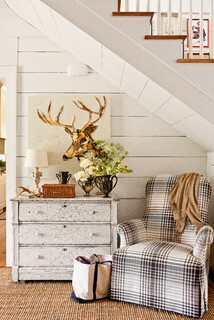 Often it takes just a few simple details to evoke Farmhouse style. A pair of rockers on the porch, a white claw-foot tub in the bathroom, an antique buffet server or hutch displaying heirloom china or pretty antique plates or vintage transferware plates. A crisp display of blue and white ceramics in a breezy white setting immediately creates a fresh and easy country look. Our vintage blue Delft ginger jars and plates fit the mood perfectly! Country Farmhouse style evokes pastoral living and traditional values, and home decor materials reflect those strong and earthy values, such as wood, stone, and iron. Textiles and surfaces are generally natural and matte in texture, and finishes often distressed. This photo from our client Anuradha V. shows a green vintage enamel pitcher that she bought from EuroLuxAntiques.com, set on a rustic table against a simple white plastered wall. The symmetry is so pleasing in this space, and the green pitcher provides a pop of natural color. 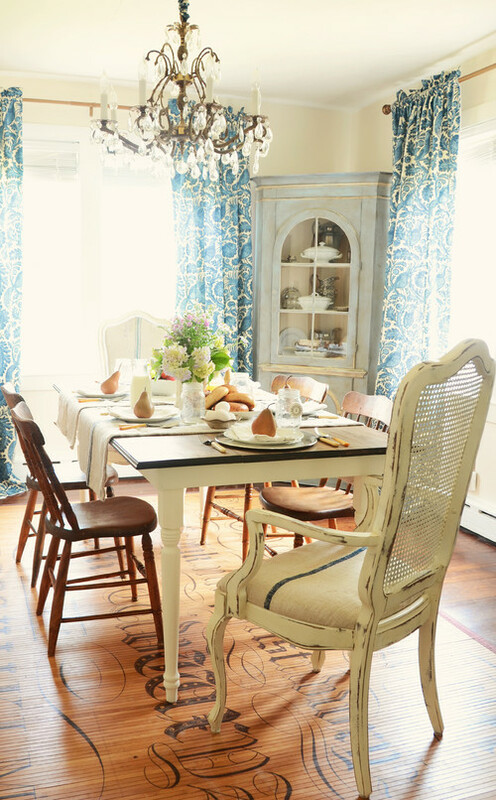 A sturdy kitchen or dining room table is at the heart of the Farmhouse style. You need a place for the family to gather after the day’s work is done, to celebrate with a healthy feast! A wood table is key to this look, and a deep apron offers the subtle design detail that makes it look authentic. 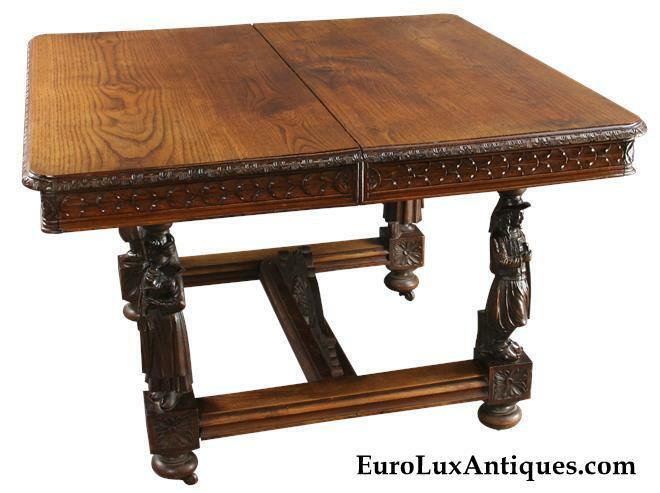 This handsome antique French dining table dates to 1880 and has just the right rugged appeal. 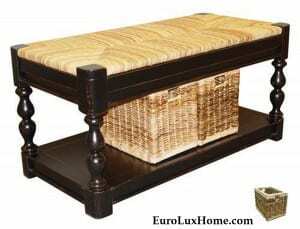 It’s carved in the Brittany style, with figurines on the legs of French country men and women to add an extra dash of Farmhouse flair! We have just added some wonderful Jonathan Charles furniture to our gallery. Greg and I selected our favorite pieces including several from the Jonathan Charles Country Farmhouse collection. 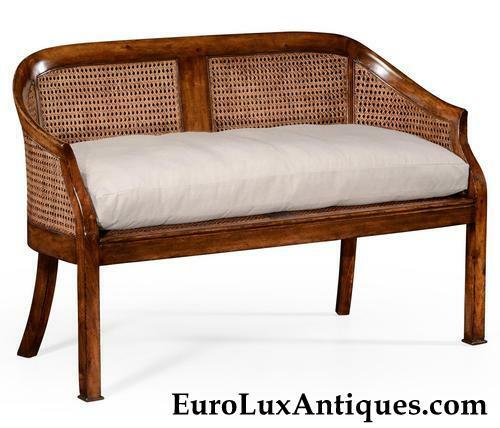 To give you a sneak peek, this gorgeous Jonathan Charles loveseat is crafted from walnut wood, with rattan detailing and a creamy white seat cushion. 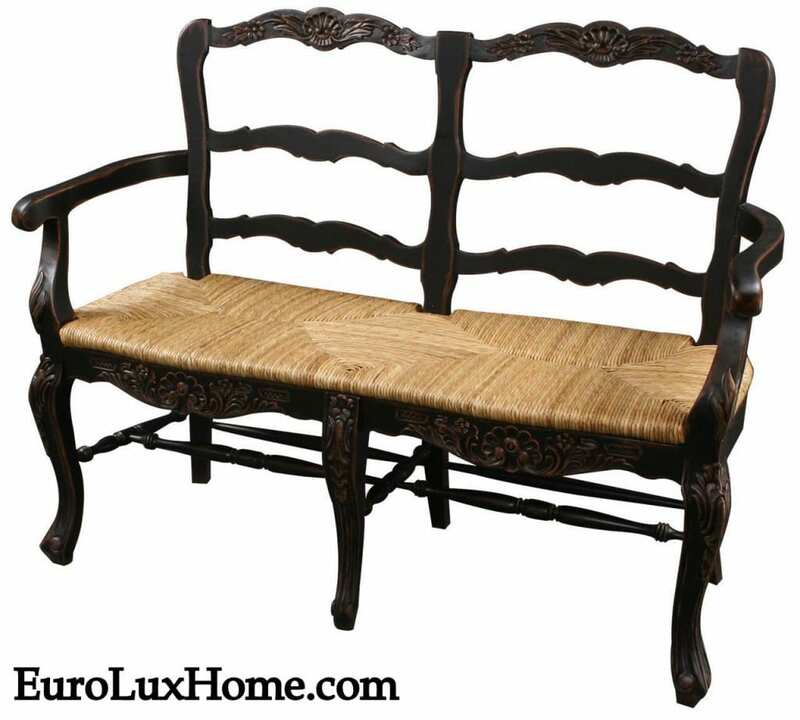 Based on a 1900 design, this high-quality reproduction loveseat is a great example of Farmhouse style. It combines substance with simplicity – a combination that never goes out of fashion! I can picture this loveseat in a living room, as occasional seating in a bedroom, or even in a covered conservatory surrounded by leafy plants and pretty flowers. 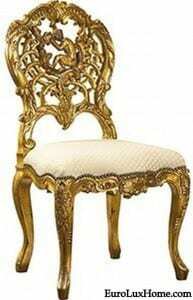 This entry was posted in Home Design Ideas and tagged Antique Furniture, creative home decorating, decor, decorating trends, Farmhouse Style, interior design, Jonathan Charles, living with antiques, Vintage Furniture on July 3, 2013 by admin.